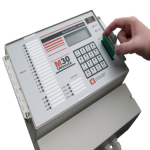 The M30 Alarm Auto Dialer is a commercial SMS dialer designed specifically for industrial and harsh environments including the monitoring and protection of humans and livestock. The M30 is the tenth type of machine we have built since 1958; during that time we have incorporated many features that have been requested by customers probably making the M30 the most user friendly and feature comprehensive auto dialer on the market. The M30 comes in 4,8,16 and 56 separate input/channel versions and can send either Real Speech messages or SMS text messages to the setup emergency contacts; this allows you to easily differentiate between an alarm call and an alert. The M30 provides the user with a customisable text message for each input / channel – this means that not only can you easily differentiate between the alarms but you are not stuck with a generic “channel 5 alarm condition”, you can setup a more useful “Fire in hanger 2”. When the M30 detects an active alarm condition it will automatically transmit an individual message for each active alarm channel. For example if 4 inputs are active you will receive 4 messages. When setting up your machine you can easily specify the type of alarm message each contact will receive e.g. an SMS message or a Real Speech voice message, it is your choice. 4,8,16 and 56 individual inputs. Fully LCD and menu driven. The above list is not definitive and there are many more standard and optional features available. Also because the M30 is designed and built in the UK by ourselves if there is a special function you need, we can normally design and incorporate it into your new machine. For more information or pricing on the M30 Auto Dialer please contact us or visit the SMS Dialer section on our site. We have been designing and building Auto dialers since 1958 and installing them in IT environments since the mid 1970’s, during that time we have refined our designs and added user requested features to allow us to purposely design the M30 for use in Server / Computer rooms or other types of IT centre. Because of the amount of money and time that can be lost by a single PC or Server failure the M30 is purposely designed for Critical environments and has various backup an d fail safe features built in, including 24hr battery backup, test diagnostics, daily test routines and PSTN / GSM network connections. 4 , 8 , 16 or 56 Individual Inputs – The M30 comes in 4 different versions to give you the exact amount of alarm inputs you require. Each input can be either a Normally Open or Normally Closed contact loop. (If you want to supply voltage then you will need to use a converter module). Each input has its own dedicated real speech or SMS message, so instead of getting a “channel 1 alarm” you get a more useful “computer room 1 high temperature” message. Via the default PSTN land line connection. Via a dedicated GSM connection. – Great if you don’t want or can’t have a PSTN connection. GSM as a backup, the M30 will continually monitor the connected PSTN line, if this fails then the M30 will automatically switch to the GSM network. – Great for critical situations. You can also connect our SMS module allowing you to send SMS messages in addition to a voice call. Designed any built for industrial and commercial environments. Because the M30 is designed and built by us in the UK, if there is a feature or function you would like please contact us a s we can normally create it for you. Looking for an Auto Dialer System for remotely monitoring your equipment? We have been designing and manufacturing auto dialer systems since 1958 to securely and reliably remotely monitor equipment in critical and industrial environments all over the world. On activation our M30 can not only send real user recordable speech messages but SMS text messages, pages and local alarm signals to inform you when there is a problem on site. Unlike cheap and domestic systems the M30 is clever and can be setup to help you run your business more efficiently – for example; only report alarm calls during certain hours/days or to ring different contact lists depending on which alarm contact is activated. The unit can connect to both standard PSTN land phone lines as well as the mobile (cell) GSM networks, meaning the M30 can be fitted in remote locations where it is not possible/practical to get a landline. The GSM line can be used as a backup; so if the land line fails or is cut the M30 will automatically switch to the GSM network. 4,8,16 or 56 separate alarm contacts. GSM & PSTN line connections. • Volt free Dry Contacts. • N/O or N/C Relays. • High / Low Level Sensors. Our system is very easy to use and will work with all industrial and commercial equipment. The M30 is a Heavy Duty Alarm Autodialer that can work over both the GSM and PSTN phone networks. It is specifically designed for use in hash industrial and commercial environments and comes with all the features that you would expect from a Heavy Duty Auto Dialer. Including 4,8,16 and 56 separate inputs, IP65 enclosure, integrated 24 hr battery backup, spike and surge protection on all inputs, Military quality components and various backup options. The GSM Converter Module allows the M30 to use a GSM mobile connection to send and receive voice calls; this is in addition to a PSTN connection. The Module comes with a separate dedicated internal battery backup and is designed as a separate dedicated unit so it can be installed in the best location for a signal, which is often not the best location for installing an M30. This Module can be used either to provide a dedicated GSM line if there is no PSTN line available or can be used as a backup device. The GSM module can monitor a connected PSTN line; if that line fails for any reason, the GSM module will automatically switch the M30 to the GSM line. Visit the GSM Upgrade page for more information. This module works in addition to the standard PSTN and GSM voice modules. It allows you when configuring the unit to specify whether an alarm call recipient gets a Voice message or an SMS. If you specify SMS, the recipient will receive an individual SMS for each active alarm channel. Each channel has a unique configurable text message, so you are not stuck with standard text e.g. “Fire in hanger 1” instead of “Channel 1 Alarm” etc. Visit the SMS Upgrade page for more information. 4,8,16 or 56 individual alarm inputs. PSTN Telephone Line failure sensing (optional). GSM Network dialing and backup (optional). 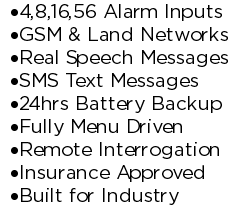 Individual SMS alarm text messages (optional). Check out all of the M30’s features on the Standard Features and Options Features Pages. What is Security Auto Dialer? Simply it is an automatic electronic device that connects to a security alarm system. When it gets an activated signal it phones or texts the preprogrammed recipients to let them know there is a potential intruder on site. 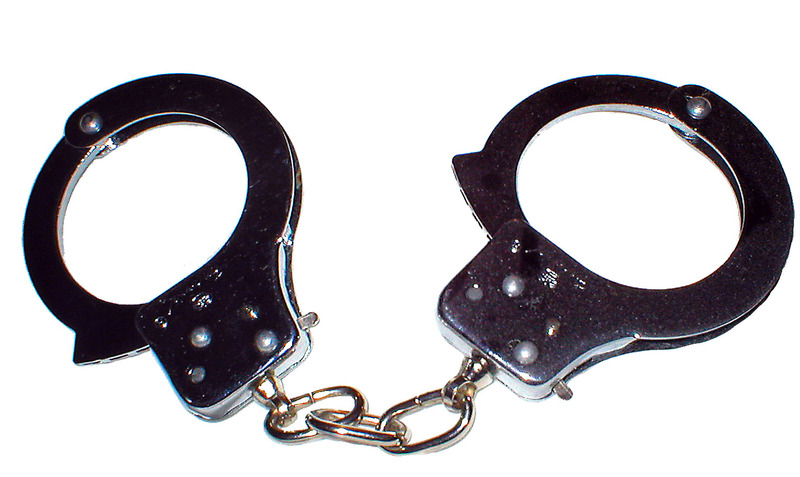 Why do I need a Security Autodialer? Like the proverbial tree in the forest there is no point spending thousands of pounds having a top of the line security system installed when it does off at 3 o’clock in the morning there is no one on site to hear it. – Because of this is it imperative you should have some type of Auto Dialer attached to the alarm, so when the system goes off you will get a phone call telling you there is a problem on site. We have been producing Security Auto Dialers since 1958 and they have been used to help protect people and property around the world. Because of our long experience we have been able to design the M30 to give you all the features you might need to help protect and warn you about any problems on your remote site or property. Telephone line sensing and GSM backup so if an intruder tries to cut or block your PSTN telephone line the M30 can switch across to the GSM networks and then phone or text you to inform you of the problem. Integrated battery backup that will last for around 24+ hours depending on conditions. Meaning you are still protected during a power cut. Multiple alarm inputs meaning you can connect in different parts of the site to separate alarm inputs. So when you get the call you know immediately which part of the property has the problem and where you need to go. For more information on our Security Auto Dialer, help or pricing please contact us or visit our standard features or auto dialler FAQs pages. 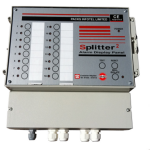 The Splitter 2 Alarm Isolate Panel can monitor alarm inputs from up to 16 totally separate devices. For example High / Low Temperature, Mains Failure, Security Alarm Panel, Building Management Systems, Boiler Lockout, Standby Generators, Water levels, Humidity etc. We have been manufacturing and supplying rugged alarm dialers to industrial and commercial customers since 1958; during that time we have refined our designs to make our units as secure, robust and reliable as possible. Both integrated into and supplied separately are various backup systems, to help ensure you will always get your alarm call. The M30 comes in a water & dust tight IP 65 enclosure, all of its alarm inputs and telephone lines have inbuilt lighting arrestors plus integrated mains failure and battery backup. Our M30 alarm dialer units are in use around the world in remote and rugged terrains and conditions – Including desalination plants, Gas & Oil refineries, Landfill sites and Power stations. 4,8,16 or 56 separate alarm inputs. Each has its own individual speech or SMS message. Integrated Battery Backup 24 plus hour’s standby. PSTN and or GSM network Connections. Lighting arresters on all inputs and PSTN line. Industrial and military grade components. Phone line failure alarm (optional extra). For more information on our M30 , help or pricing please contact us or visit our standard features or autodialer FAQs pages. A PSTN Autodialler uses a standard public network land phone line to call its user programmed telephone numbers to inform them of a problem instead of the mobile GSM networks. This can be preferable in critical situations or where mobile phone reception is poor or totally unavailable. Using the PSTN networks gives you a sense of security that no matter how busy or clogged the Mobile phone networks become you will always get your call. Our M30 PSTN Autodialler will connect to any device that provides a Normally Open or Normally Closed output; if your alarm panel provides a 12vdc output we can provide a simple conversion module. 4,8,16 & 56 separate inputs. Fully keypad and menu driven. For more information on our PSTN Autodialler , help or pricing please contact us or visit our standard features or autodialer FAQs pages.